This software is the predecessor to DSN/RJE. It requires Operating System version A to run. Download and recreate the TD0 file onto a 3.5 inch floppy in the normal manner. 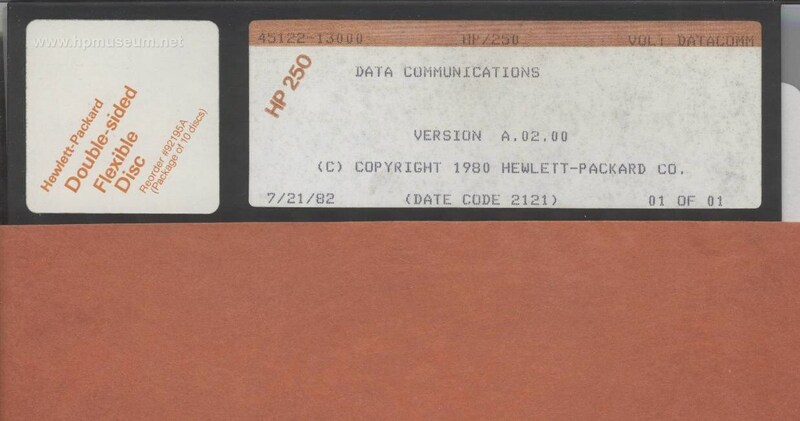 - Insert your target disc (DS/DD) into the 9895A and initialize it using the HP 260 INIT utility (RUN “INIT”). Follow the prompts to initialize the disc. -	Insert your 3.5 inch back up disc into one of the drives on your 9122C. - Run the RECOVR utility on your HP 260 (RUN “RECOVR”) and follow the prompts to specify the source and destination of the back up.